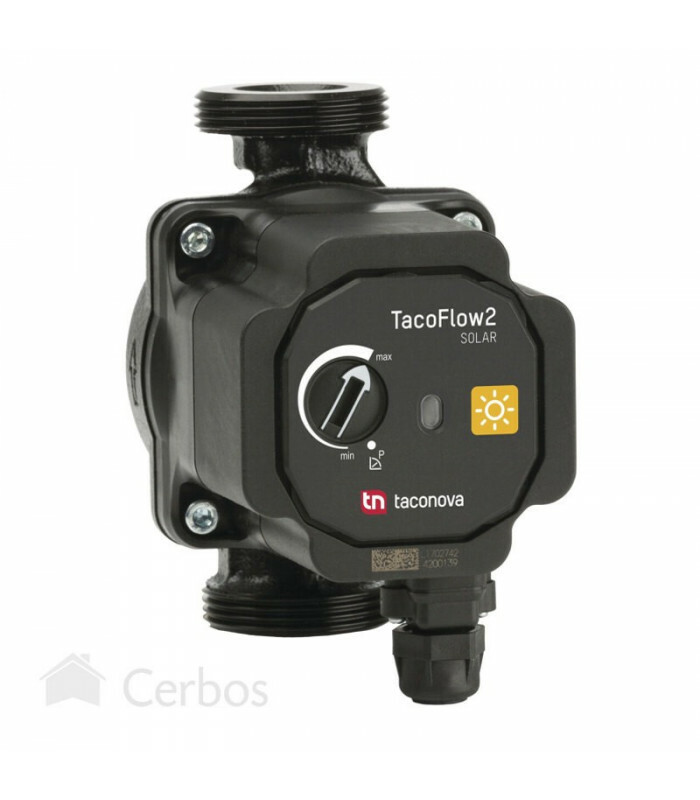 Circulation pump ES 2 Solar 25-70/180 Taco, 180 mm. Thread: G 1½". Renewable energy solar thermal systems, biomass boilers and hot water heating systems of any kind. Askoll ENERGY SAVING is a wet rotor high efficiency circulator, driven by a permanent magnets synchronous motor (PM motor) controlled by an on board inverter. The motor is protected against overload thanks to a thermal protection and an automatic electronic release function of the rotor. No external protection is required. Operated by selector technology. LED user interface. Renewable energy solar thermal systems, biomass boilers and hot water heating systems of any kind. • Clean liquids, not aggressive and not explosive, not containing solid particles, fibers or mineral oils.